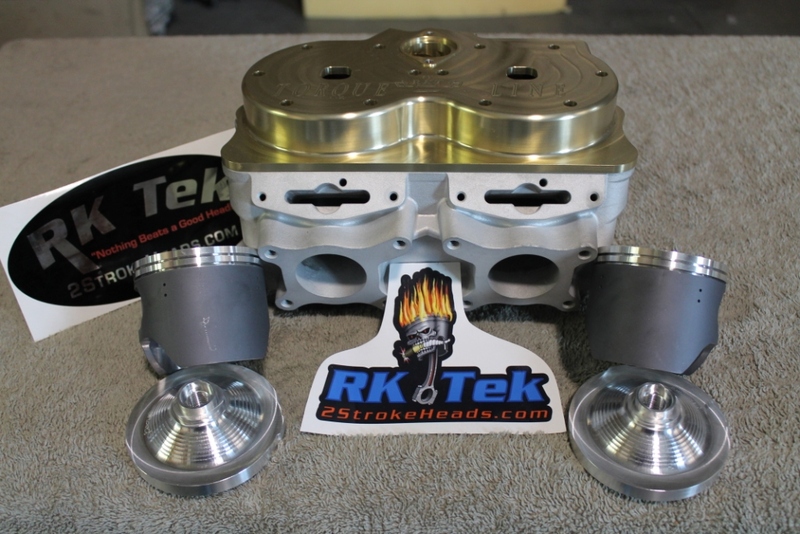 We have developed an 858 CFI Big Bore Kit that will make stockers look like 600's.. This kit uses your stock cylinders. We frequently load videos on our YouTube Channel (HERE) Please check this channel for the latest Videos showcasing this great kit! One of the best parts of this kit is that it WILL run (and is designed to run) using the Stock components. This kit has been on the snow for many seasons and has been performing flawlessly! We ,PURPOSELY, designed this kit to run with MINIMAL changes over stock! Basically, install the 858 kit, control box of your choice, and MINOR clutching changes and you are ready to DOMINATE the mountain! It ,REALLY, is that simple... No aftermarket pipes, cans, reeds, etc. etc. to buy.. JUST THE KIT!! We are not going to get bogged down with HP figures and such.. Just , rest assured, that this kit DOES produce the power! It will completely transform your Pro from a zig/zag, I am powering out, up the hill type ride to a sled that will ACCELERATE up the hill with no fade! Compare to other "kits" that cost 2.5 times this amount. We will require your cylinders and Exhaust Valves to do the conversion. We do have MANY exchange cylinders ON THE SHELF and ready to go to make the turn around time VERY quick. The FUN FACTOR is increased like crazy when you have a platform this good that finally has some power behind it. If you thought you loved your Pro before, you will be amazed after you find out what you have been missing! The 858 piston is actually LIGHTER than the OEM 85mm piston. This is huge in reducing stress on the crank and reducing piston side load forces! This kit is designed for the 2011 and newer PRO (2 Injector Engine). It will install on the Dragon 4 injector engine but we have done ZERO testing with the Dragon 4 Injector Engine. 5)MUCH better designed piston.. Stock pistons are .008" -.009" clearance after about 300 miles--> with a lousy geometry.. So, if you did nothing but FIX the piston.. you would be increasing performance. These are just a few contributors.. NOTE: A Power Commander can be used in place of the Boondocker Fuel Control Box. NOTE: These are ONLY reference fuel settings.. Your final settings can be different.